The former pitcher’s video game company got $75 million from the state and left taxpayers holding the bag. What happened to Curt Schilling’s video game company? If you asked me to loan $75 million to a would-be video game entrepreneur with no experience programming computers or running a business, I’d tell you to take a hike. 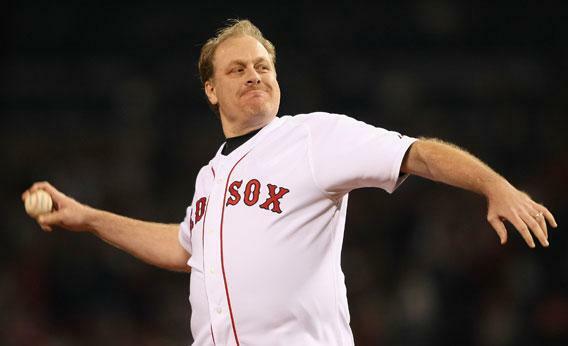 But I’m not a New England sports fan being hit up by Red Sox pitching legend Curt Schilling. That said, even the good people of Massachusetts weren’t willing to go for Schilling’s idea. Instead, the Rhode Island State Legislature ponied up $75 million to Schilling’s 38 Studios, and now that the company’s officially declared bankruptcy, the Ocean State and its residents are left holding the bag. The company itself started back in 2006, near the end of Schilling’s pitching career. He is by all accounts a genuine video game enthusiast and launched the company as Green Monster Games, renting office space in Maynard, Mass., a former industrial town that’s found a new life as home to Monster.com. The idea was to build massively multiplayer online games (MMPORGS), a genre that Schilling particularly likes, though one that’s been in decline in recent years as a business proposition because of the overwhelming success of World of Warcraft. At the start of spring training in 2007, what would be his final season, Schilling changed the name to 38 Studios. The company developed slowly until the summer of 2010, when the Rhode Island Economic Development Corporation announced it was offering a $75 million loan guarantee to induce 38 Studios to relocate to Providence. The company and about 160 employees opened up their new Providence office in April 2011. On Feb. 7, 2012, their first game Kingdoms of Amalur: Reckoning was released to mixed reviews and weak sales. In the past two months, the company collapsed with stunning speed. 38 Studios missed a $1.12 million payment to the state on May 13. On May 18, the money surfaced and 38 Studios instead missed payments to employees. By May 24, all workers had been laid off. On Thursday, June 7, having failed to attract new investors or a state-government bailout, 38 Studios filed for Chapter 7 bankruptcy. The company has huge debt and essentially no assets of value, leaving the state on the hook for the cost of the loan guarantee. What went wrong? In terms of the internal workings of 38 Studios, we still don’t really know. The state police and a team of forensic accountants are reviewing the company’s books in an effort to determine what happened and whether any wrongdoing occurred. On the state’s side, it looks an awful lot like a toxic interaction between stupidity, desperation, and Red Sox fandom. In 2010, Rhode Island created a $50 million Job Creation Guarantee Program to offer state-backed loans to entrepreneurs looking to expand their businesses. This kind of state-supported capitalism can make sense because smaller and newer firms often lose access to credit in a crisis. This can create a downward spiral, drying up local incomes and thus the prospects for other businesses. When government lends its greater creditworthiness to small firms during a recession, it can boost the economy at relatively little fiscal cost. Most of the loans will be repaid, and the net increase in employment and sales will generate extra tax revenue. At around the same time, Schilling was looking to raise more cash to kick 38 Studios into high gear. Having struck out with Wall Street and Boston-area venture capitalists, he turned to the Massachusetts State Legislature and was turned down. You would think that the fact that even Boston VCs and even the Massachusetts government rejected a Red Sox legend’s request would signal that his company was a poor investment. But not, apparently, to the desperate little-brother Red Sox fans of Rhode Island. Schilling found a more receptive ear in the form of Republican Gov. Don Carcieri. The only sticking point was that Schilling wanted $75 million, which the state’s $50 million fund couldn’t accommodate. That problem was solved by expanding the total size of the fund to $125 million, thus allowing the original plan to go forward and also for Schilling to get his money. If Rhode Island’s initial loan-guarantee program made sense, expanding it to benefit just one firm was crazy. Rhode Island’s investment in 38 Studios became 60 percent of its total portfolio. The essence of risk management is to spread your bets, which the state flagrantly failed to do. It’s true that luring a video game studio to town meshed well with Providence’s aspiration to leverage Brown University and the Rhode Island School of Design in order to brand the city as the “Creative Capital.” But the sensible way to launch a video game promotion campaign would have been some kind of open competition—not a grant to a specific company. Good sense only came to the state this spring when new Gov. Lincoln Chafee, who’d opposed the deal from the beginning, declined Schilling’s plan to have the state try to throw good money after bad in hopes of staving off bankruptcy. But what is to be done now? For a small state whose 11.2 percent unemployment rate is second in the nation, this is a hefty debt to pay off to 38 Studios’ creditors. Rhode Island already has a higher sales-tax rate and higher top income-tax rate than Connecticut or Massachusetts and has implemented one of the harshest rollbacks of public employee pensions anywhere. Perhaps the best path would be to take advantage of the fact that the 38 Studios bonds are moral-obligation bonds rather than general-obligation bonds, and simply default and refuse to pay. The big downside to defaulting is that it makes it much harder to borrow money in the future. But considering Rhode Island’s track record of debt-financed economic development schemes, that might be a blessing in disguise.